Coach Tracy Christenson has been training and coaching for nearly 15 years. 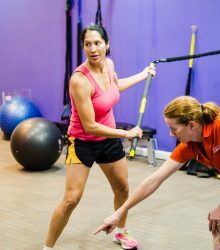 With a background in human performance and strength and conditioning, as well as competitive experience in cycling and triathlons, Tracy is uniquely qualified to help individuals at all levels of the athletic spectrum, from beginner to professional athlete. Tracy holds a B.S. in Biology and an M.S. in Human Performance from the University of Wisconsin at La Crosse and is a Certified Strength and Conditioning Specialist (CSCS) Through the NSCA. 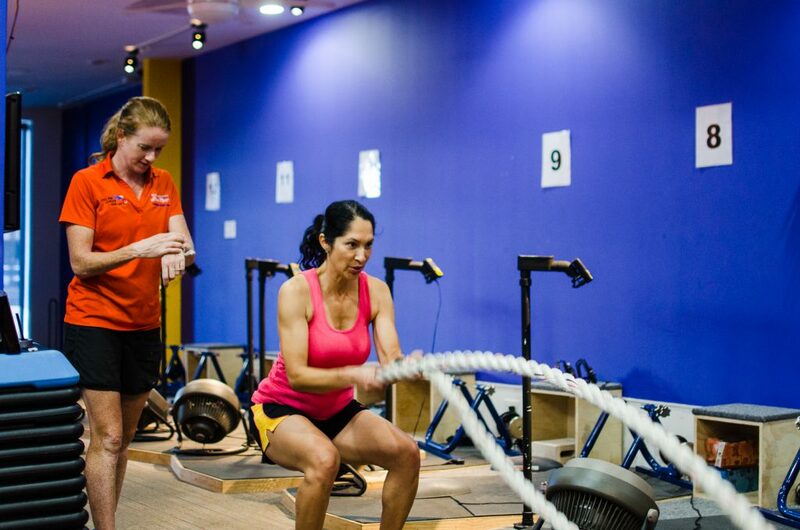 Tracy is a level 2 USA Cycling coach and a level 1 USA Triathlon coach. 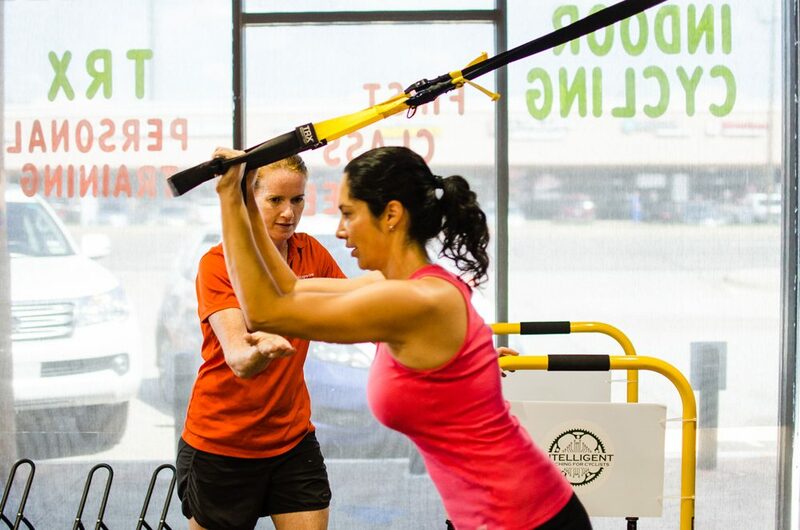 She is certified to perform Functional Movement Screening, a process by which basic movement patterns are examined and assessed for dysfunction. 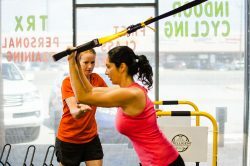 She also holds a TRX suspension training certification. 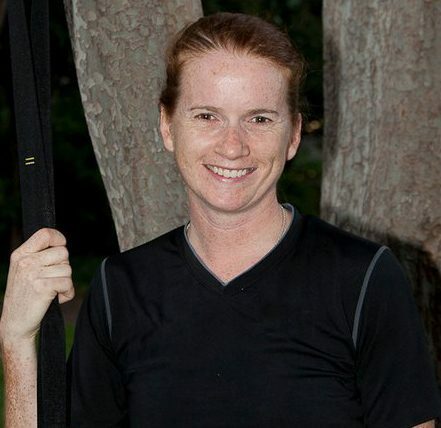 In her spare time, Tracy’s personal passion is training and competing in triathlons, road races and criteriums. She has several age group wins and podiums in triathlons and podiums in the Texas Racing Cup Series for cycling. 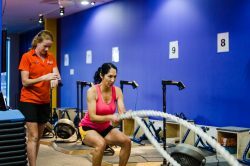 Tracy has a strong interest in helping more women get involved and obtain the skills and confidence needed to be successful to compete or enjoy cycling as a lifelong strategy to fitness and better health. Depends greatly on the individual but I am a big fun of tools such as Suspension Training, Bands, Ropes and Bags. 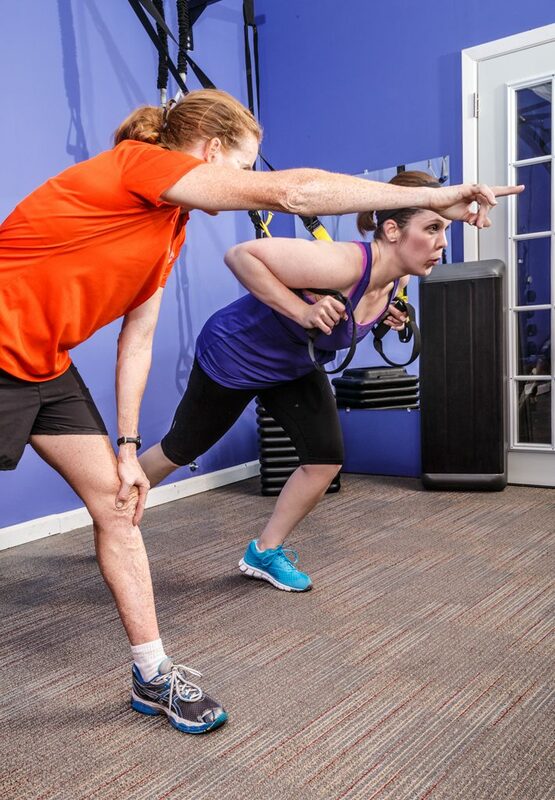 A dynamic and fun workout focusing on both their goals and needs. One of my longest standing clients and good friends I had worked with for over 10 years. I introduced her to cycling, and she even did her first triathlon that year! Since then she has moved away but we still keep in touch. She has found her own cycling circle of friends, and has become an experienced rider and cycling advocate. We even did a two day ride together from Athens to Savanna a couple years ago. I love that I was able to introduce her to something that has become such as positive part of her life, and see her grow so much as a cyclist.